Remove any preexisting inner mental blocks, mental hindrances, limiting beliefs and negative thought forms that may retard your progress toward whatever goal or purpose you aim to accomplish with the learning while sleeping program - subconscious programming that feeds and reprograms your subconscious mind at the deepest most effective levels. Our learning while sleeping program will produce positive life changing results while you read, work, play, and even when you sleep. We suggest you play the CD repeatedly while sleeping for maximum exposure and maximum positive results. Listen to the CD repetitively for the first month you own it. Listen while you work, play, and sleep. Become the best you possible with positive subconscious programming that is scientifically based. This product is not a substitute for medical, psychiatric or clinical advice. Do not listen to this CD when driving or operating equipment. 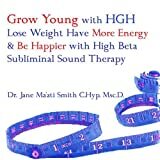 The two programs, self hypnosis and subliminal, are enhanced with ambient sound therapy techniques, that tap directly into the self healing energy that lies deep within the subconscious. In the heightened state of receptivity the special ambient brain wave entrainment produces, you have the opportunity to trigger your body's own ability to heal and regulate your metabolism. The word diet, is a negative word; it threatens you with the denial of food. Balance is a positive word. It makes you feel relaxed, comfortable, and alive! The real answer to your perfect weight, is in restoring your natural, physical and emotional balance. Unhealthy eating habits that do not work for you, and the extra weight, are ways of creating a sense of comfort, and a sense of feeling whole and complete. You respond this way because of stressful emotions. You can now have other ways of responding, that are healthier options than eating, you can imagine other ways of dealing with situations, and expressing emotions safely, without the need for food. Eating to fill emptiness never solved anything, it just makes you gain weight. Emotional hunger is no longer an issue. You inner mind, knows exactly how much you need to weigh, and it can show you the right way, for all parts of your body, mind and spirit, to work together in harmony. You can eat smaller portions of healthier food, and because you eat smaller portions of healthier food, your body will become lighter and healthier. You will have more energy, more strength, and more vitality. You can love the feeling of health, that comes from your new eating habits. Everything you eat can turn into health and beauty, into a beautiful, strong, and healthy body. Your mind and body always knows, it's as easy, and simple, as that! Reducing stress is a key factor in any weight loss program. The unique brain-balancing music easily and effectively relaxes the listener. Actually slows down the speed of chewing food, which enhances nutritional benefit, too. The affirmations are inaudible, but the subconscious mind perceives them and responds accordingly. 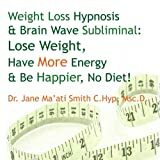 Hypnosis works by influencing your subconscious mind and eradicating negative feelings and habits. Hypnotherapy is effective in programming your mind to change habits and enjoy making different choices. 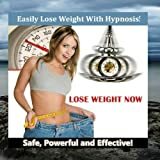 This hypnosis can make change easy and effortless, increasing your motivation, making it easier for you to ignore temptation and prefer low fat low calorie foods. 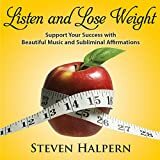 The Listen and wake track will guide you into a deeply relaxed state, and develop an easy and strong feeling of inner strength, you feel in control of food, you prefer smaller meals, you eat less and it is easy. As you listen and become deeply relaxed and receptive, you absorb the hypnotic suggestions that allow you to make the choices that you know are right for you. Use this session if you want to feel refreshed and alert afterwards. The Lite-Speed track is a 5-minute booster, ideal if you don't have time for the full session. It is used to strengthen the effects of the full hypnosis. The Bedtime hypnosis is similar to track 1 except it guides you to sleep as it ends, making it ideal to use when you go to bed. We are confident you will be happy with your CD, but if you are not completely satisfied, return within 60 days for your money back. Do not use while driving, operating machinery. If you have epilepsy, schizophrenia or a heart condition, consult a physician before use. Have you tried many diets over the years? Do you want a solution that works on a deeper level? 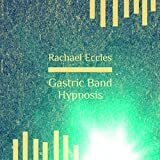 This self-hypnosis recording inputs suggestions into your subconscious mind to give the effect that you have had a gastric band fitted. Consequently you find that you can only eat small meals, you feel full much quicker on a much smaller quantity of food. 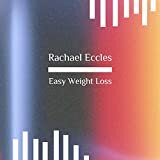 Many people find that they lose weight quickly using Gastric Band hypnosis, there's no dieting, no points counting, or calorie counting, you just eat less, you are satisfied with less food. Importantly, you feel full on less food. You are not guided through the unnecessary details of the actual operation, just the effects of the gastric band without the pain and stress of going through an actual operation. The ideas are indicated to the subconscious so that you automatically prefer smaller meals, you only eat small amounts of food because your stomach capacity is small and you feel full much more quickly - just as if you have a gastric band. You know consciously that you haven't but the changes take effect in your subconscious mind. it's much easier to lose weight and achieve your goals with this simple but highly effective process of reprogramming how you look at and deal with food. 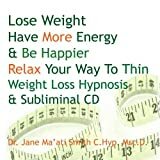 Easily Lose Weight With Hypnosis. Safe Powerful and Effective Weight Loss. Why do you want to lose weight? Clothes too tight? Feeling tired and run down from dragging around those extra pounds? Maybe you have tried diets and pills and other fads too, but nothing seems to work! The key to weight loss is to: 1. NEVER give up, and 2. Get your subconscious mind to do the work for you! Do you want to lose weight easily, without the struggle? Do you have ten minutes a day to commit to your success? Then get your subconscious mind to do the work! Studies reveal that over 90% of what we do all day is subconscious (this includes habits around eating healthy in small amounts, exercising, or couch-potato dining). To lose weight you need to change habits, but that can seem like a big struggle. Dream Series - Slim & Trim offers three wonderfully relaxing meditations, that engage your imagination, to re-program that inner mind and become the slim trim person you want to be. Each self-hypnosis track contains guided visualizations and hypnotic suggestions to create a deep and lasting shift at the subconscious level. Designed to shift your weight set point (a big concept in weight watchers), as you imagine a new image of yourself and accept that self-image on a deeper level, your subconscious mind will do the work to make it happen! By listening to the Dream Series daily you will notice more rapid results. These short self-hypnosis sessions can be listened to in under ten minutes each. That's hardly more than a bathroom break! You can easily find a way to fit these into your day, and begin to see progress in the right direction! Get started today, and make the commitment to yourself to simply listen to one recording daily. 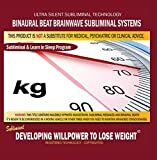 The two programs, self hypnosis and subliminal, are enhanced with binaural beat sound therapy techniques, that tap directly into the self healing energy that lies deep within the subconscious. In the heightened state of receptivity the special ambient brain wave entrainment produces, you have the opportunity to trigger your body's own ability to heal and regulate your metabolism. This program is designed to be used with headphones. No matter how you've struggled to lose weight, you can do it now! 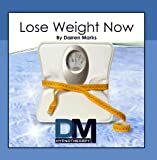 This subliminal weight loss CD is enhanced with binaural beat brain wave technology, set at frequencies and tones reputed to trigger the release of beta endorphins, and HGH (human growth hormone) to help build lean muscle. These tones and brain wave frequencies can help you to tap into the self healing energy that lies deep within the subconscious. In the heightened state of receptivity the special binaural beat brain wave entrainment produces, you have the opportunity to trigger your body’s own ability to heal and regulate your metabolism. This program is designed to be used with headphones.